Cast iron ships wheel with anchor look 6 hooks screws are included. 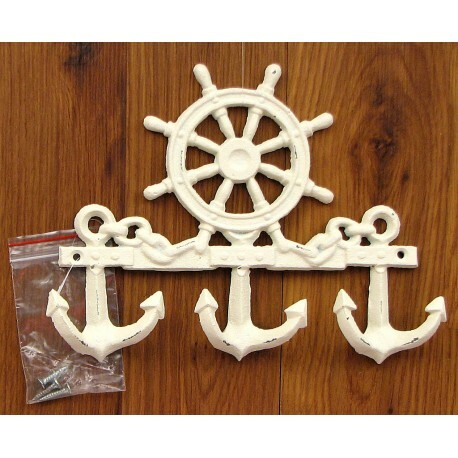 Great addition to any nautical theme room or outdoor area. Measures: 7 1/4" T x 9 1/2" W. x 1 1/8" D.